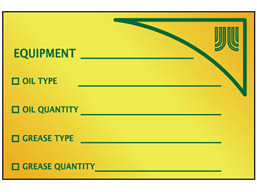 Home > Labels,Tags & Nameplates > Custom Nameplates > Brass Nameplates (Single Colour) > Brass nameplate (1 colour), 50mm x 75mm. Custom etched and filled brass nameplate to your own design. Size 50mm x 75mm. Supplied either with adhesive backing or drill holes for fixing. Supplied in packs of 100 nameplates. NMR3B Size 50mm x 75mm. Material Brass.